Who knew choosing a salt supplement for horses could be so confusing! There are so many choices now. Gone are the days of simply going to the feed store and grabbing a salt block or some loose stock salt for our livestock. Now we have things like Celtic sea salt, Himalayan pink salt, Redmond salt, not to mention coarse vs. fine ground or blocks! We all know we need to supplement salt, but how do we know which kind is best for our horses, provides needed minerals for optimal health, isn’t processed with chemicals/additives, and will provide the most bang for our buck? I have always found the subject of equine nutrition to be the most confusing and contradictory subject I’ve ever tried to study. There are so many opinions on the subject. But I think most people will agree that salt is a must and there are basic minimum requirements for trace minerals that animals (just like people) must get in supplemental form simply because they are not available in the basic equine diet. Pastures/hay will vary widely in mineral content simply because of the different soil compositions and deficiencies. So what most of us tend to do is find something that has everything in it in the proper ratios (or what we hope are the proper ratios) and be done with it. I joined on the Himalayan salt fad when it first started to become really popular with the “salt on a rope” blocks that were readily available at online horse supply companies. I did notice that my horses seemed to consume that more readily that the basic salt block that I had for them next to the water trough. In my studies and personal observations over the years, I was aware that animals in general tended to seek out specific plants, tree bark, minerals in the soil/rocks, when they had a deficiency in their diet. It was driven home to me several years ago when our horses (and the neighbor’s horses next door) began eating all the bark off the trees. I couldn’t figure it out for a while, until I realized that I had switched them back to just regular salt for a time. The behavior seemed to stop shortly after I got more of the Himalayan salt. So I then started to think about the mineral content in the pink salts and the horses were probably much more interested in them because of that reason. I began asking my local horse friends what type of salt they feed out and most of them came back with either Himalayan or the Redmond salt. Almost all of them indicated that their horses preferred it to regular salt. 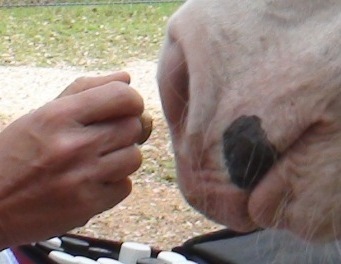 I decided to do a “taste test” under the theory that horses will seek out the things they need in their diet from their environment if it is offered to them. And when they no longer need it, they will not consume it as readily. I offered three different salts, each in it’s own bin, to my horses for a period of about a month – regular course ground stock salt, course ground Himalayan pink salt and medium ground Redmond salt. I chose the ground salt because its easier for my horses to consume than licking a block and it would be easier for me to gauge consumption. I noticed that both horses initially seemed to prefer the Himalayan salt (maybe because it was familiar), but quickly switched over to the Redmond salt and almost exclusively chose that for the duration, with my mare occasionally going back to the Himalayan. They completely ignored the regular stock salt. Regular salt is usually heavily refined and mixed with anticaking agents, such as sodium aluminosilicate or magnesium carbonate, to prevent clumping. Not to mention the bleaching agents that make it that pristine white color. That’s right, real salt is usually not that beautiful white snowy color! Himalayan, Redmond and other natural sea salts are less processed, and usually do not contain any additives. They are also much higher in natural mineral content than regular stock salt. During the process of “refining”, most of the trace minerals are removed as “byproducts” and used for other things. Plus, under U.S. law, up to 2% of table salt can be additives (some of which are synthetic). Redmond Sea Salt comes from a mineral rich salt deposit formed by an ancient sea in Utah located about 150 miles south of the Great Salt Lake. It contains 62 trace minerals, and is without additives, chemicals, or heat processing of any kind. Redmond salt’s pink hue is due to the abundance of naturally occurring trace minerals. Redmond salt contains approximately 93% sodium and chloride (versus 98% of regular salt) and the remaining 7% trace minerals. Interesting factoid found on the Redmond website…our own blood serum has approximately the same concentrations…hmmm. Himalayan pink salt is from the Punjab region of Pakistan. It is mined at the Khewra Salt Mine in Khewra, Jhelum District, Punjab. It is known for its characteristically pink hue. 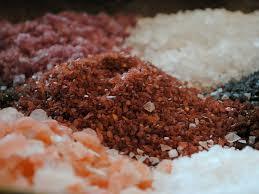 Himalayan salt is chemically similar to table salt plus mineral impurities. There are approximately 84 minerals found in Himalayan salt. Veins of impurities (minerals) give the salt its pink/reddish color. It consists of 95–98% sodium chloride, 2–4% polyhalite (potassium, calcium, magnesium, sulfur, oxygen, hydrogen), 0.01% fluoride, 0.01% iodine, and micro-amounts of numerous trace minerals. Sea salt is made by evaporating sea water, while pink salts are ancient salt beds that are mined on land. Sea salt is very similar to regular salt, but can contain small amounts of minerals like potassium, iron and zinc. The darker the hue, the higher the impurity/trace mineral content. One thing to make note of though – due to the pollution of oceans, sea salt may also contain trace amounts of heavy metals like lead. So are you still thoroughly confused by which salt is right for your situation? Well, my best advice is let your animals choose for themselves! Do the taste test and see which salt they prefer. They are usually the best judge of what will meet their individual needs. And if you are going to do the taste test, please report back here what you found! 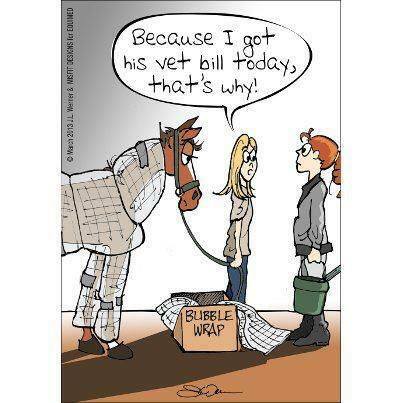 Or go over to the Heavenly Gaits Equine Facebook Page and tell us there – http://www.facebook.com/HeavenlyGaitsEquineMassage. Can I please have your permission to re-print this article as I found it very helpful in knowing what supplements to chose. I am the secretary for the Canadian Fjord Horse Association and would like to re-print it in our newsletter that goes out to about 10 members. Hi Dana, sure! No problem if you want to republish. Thanks for asking. I am finding it difficult to purchase bulk celtic sea salt as all suppliers tend to sell small size bags at ridiculous pricing. Would you happen to know any supplier who sells 5kg bags or more in NSW Australia. We have a team of 10 horses who get 1tbls per day. Thanks I hope you can help. Freda Louizos. I’m really sorry that you are having such a hard time finding affordable salt Freda! I can totally understand with that many to care for! Unfortunately I’m not at all familiar with the suppliers available to you. I use Redmond’s Salt that I can buy in bulk 50 lb bags from my local feed store very affordably and my horses really like it. Perhaps you have a local supplier for the Redmonds that would be more economical? Sorry I can’t be of more help! 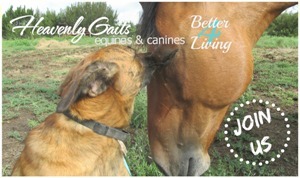 I have tried the Himalayan Salt loose granuals on my 30 year old Arabian gelding and 11 year old Rocky Mountain gelding. I add a little to their morning grain feeding and they look amazing with a lot of energy. I have tried the red (with minerals) salt and white salt blocks and this doesn’t work for my horses. They won’t touch the white blocks and they eat the red blocks like they are candy. This way I know they are getting a little salt and minerals daily, especially with the heat and humidity here lately. They look the best they ever have! 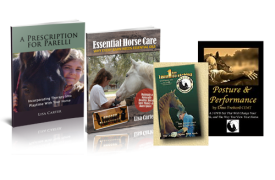 Previous post: All I Want For Christmas…How About A Rescue Horse?